Accessibility Lawlor Events Center is deeply committed to providing all of the accommodations necessary to ensure that our guests with disabilities enjoy our events to the fullest. We are constantly exploring ways to improve and upgrade accessibility options at our venue. Entrances There is an an accessible entrance from the first level of the West Stadium Parking Complex just north of Lawlor Events Center. Additionally, a public elevator is available from the ground level south side ticket entrance to the concourse level. Seating The arena has a total of 100 wheelchair accessible seats. We ask that patrons who are in need of wheelchair accessible seats requested only a ticket for themselves and up to three companions so that all who require this seating may be accommodated. Seating can be reserved in adjacent sections for additional friends and family members. There is also specific seating available for those with other types of mobility limitations. If you do not require a wheelchair accessible seat but have other mobility limitations please inform your ticket seller. They can then reserve the best possible seat for you. 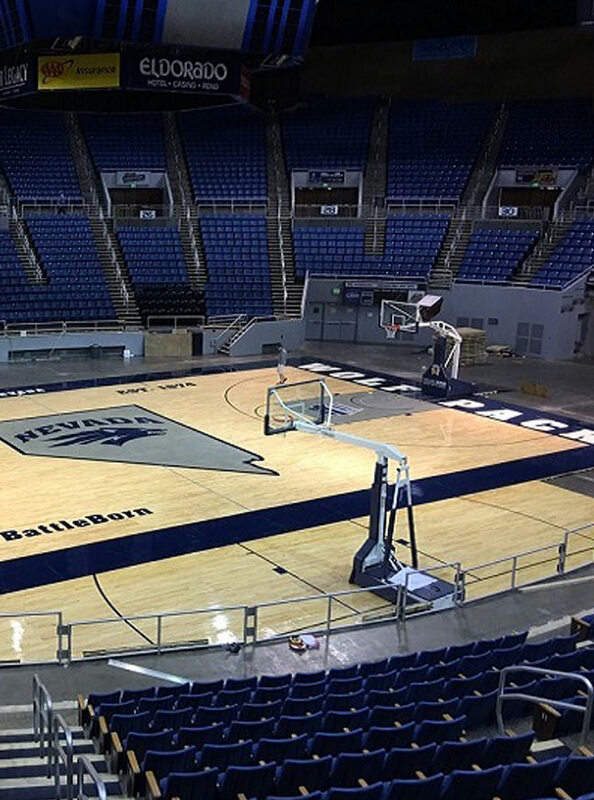 Once you have arrived at Lawlor Events Center, please do not hesitate to ask our guest service staff for any additional assistance you may need. Accessible Parking Accessible parking is available on each level of the West Stadium Parking Garage. This garage is available from Virginia St with a right turn immediately after passing Lawlor if you are traveling north. If you are traveling south on Virginia Street, turn left at the Fleishman Planetarium sign, pass the Parking & Transportation Services building and then drive forward into the garage. Vehicles may not park in spaces designated for the disabled unless eligible and the vehicle displays a university disabled accessible parking permit or DMV issued placard. Vehicles may not park in areas striped for disabled access. Vehicles parking in disabled parking spaces without any disabled placards or permits are subject to a $250 parking fine. Assisted Listening Assisted listening devices are available for checkout in the administrative offices on the ground level. Photo identification is required. Service Animals Service animals are welcome in Lawlor Events Center.